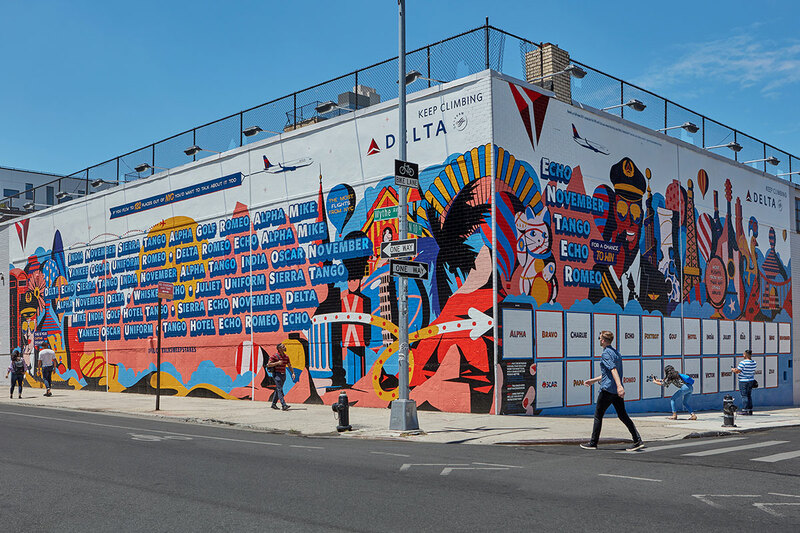 Delta is promoting its long list of destinations with a huge, vibrant mural in Williamsburg, N.Y. that centers on the "pilot's alphabet" and lets people win flights to their dream locations. Agency Wieden & Kennedy New York commissioned Australian designer Karan Singh to create a colorful illustratation for each of the 26 letters in the phonetic alphabet that's commonly used by pilots (Alpha, Bravo, Charlie, etc.). The artwork is tied to a sweepstakes, getting New Yorkers to spell their favorite destinations using the alphabet on the wall. People can post the letters one-by-one to an Instagram carousel with #PilotTalkSweepstakes for a chance to win two roundtrip tickets to that destination. So for example, for the chance to win a trip to London, they would need to spell "Lima-Oscar-November-Delta-Oscar-November." 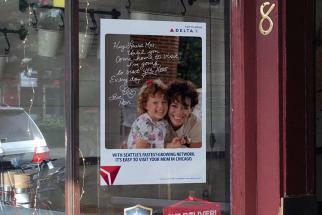 Promoted by the hashtag #PilotTalkSweepstakes, the promotion will run until July 22 and Delta will randomly select five winners, one each week, to take home a pair of roundtrip tickets. It's also holding an event this Saturday, June 30, at local eaterie Kinfolk, with custom "Bravo-Echo-Echo-Rome" mugs and coffee cups, encouraging customers to view the wall and enter the sweepstakes. The walls on which the mural appears are a go-to spot for the brand and have previously featured other campaigns involving airport codes and selfie-backgrounds.